In our series Know your choir this month we feature Maria Rosin. 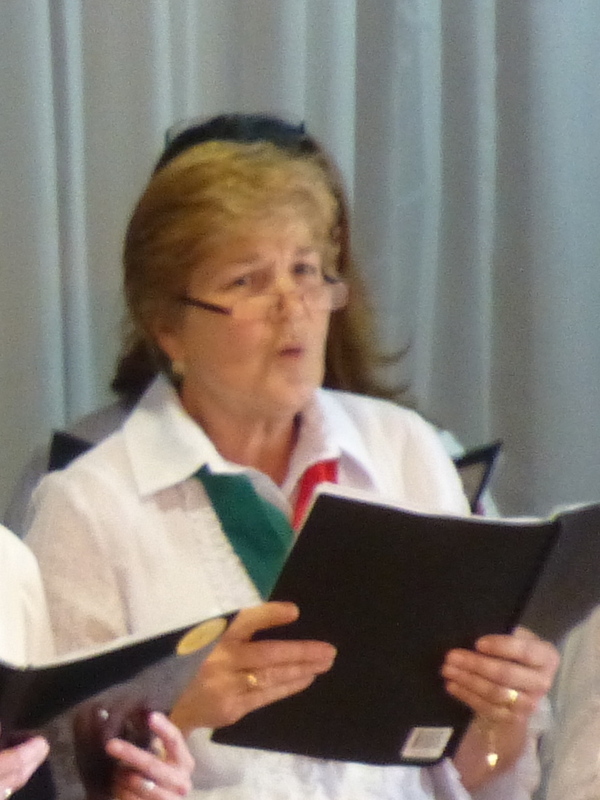 Maria is one of very few Italian-born members of our choir, and has shown great commitment over the years. Here is her story. “I was born Maria Colbertaldo in San Zenone degli Ezzelini (Treviso) which is 10 km from Bassano del Grappa in the Veneto Region. My family migrated to Australia in 1960. I went to school at St Gregory’s in Queanbeyan but after two years we moved and I finished my schooling at Braddon Girls Catholic School. That’s when I started to sing with the school choir. At the end of my schooling I went to work in the Government Printing office in Kinston, then met Bruno. We married and had three children – two boys and a girl. Music was always in our house – I used to buy Italian cassette tapes and the latest records but enjoyed English songs as well. I first joined a church choir at St John Vianney, then I sang with Scuna (the University choir) for two years. It was at this time that I got more involved with singing, joining the Ecumenical choir which performed cantatas for Easter and Christmas. This was a lot of fun. At around the same time I found out that there was an Italian choir in Canberra – Dante Musica Viva – and I joined it. All choir members made me feel as one of them. That was seven years ago and I still love it! The choir gives enjoyment not only to Italians but also to people of other cultures. When we sing to an Italian audience, especially the elderly, it’s good to see their faces as they sing along. The songs bring back for them lots of fond memories of their youth, and this gives us great pleasure. I have made good lasting friendships within the choir. Last year, with other DMV friends, Bruno and I walked part of the Camino de Santiago in Spain, and this was an experience to remember.